University graduates who attended one of the Island’s private schools are being offered the chance of a “life changing opportunity” to live and work in China on a one-year internship. 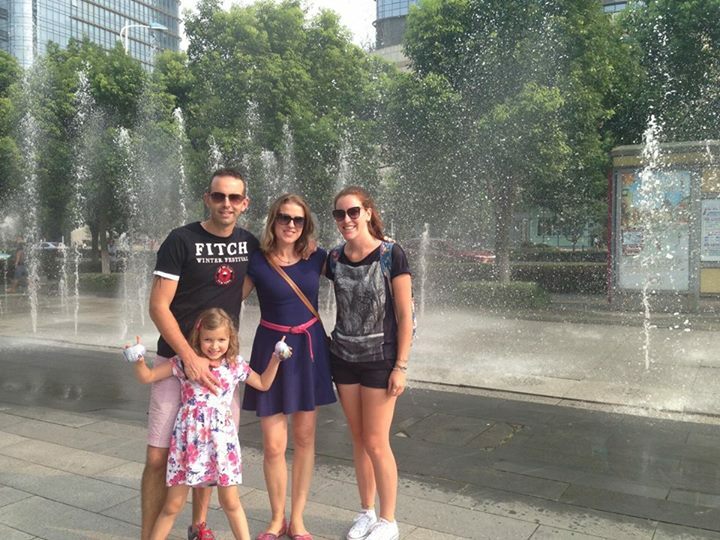 Daniel Dorrington and his wife Rebecca used to work at Saltus Grammar School but left to take up posts with Dulwich International High School in Suzhou, China. They left in 2012 and set up an internship at the school for graduates who had attended Saltus – the first to benefit was Bermudian Emily Chadderton, 22, who has now been offered and has accepted a full-time job at the Chinese school. Mr Dorrington said: “My wife and I worked for Saltus for seven and five years respectively. I was the Head of Geography and my wife was the Drama teacher. We held various other positions – Head of Year, Head of House, and I also ran the Duke of Edinburgh’s Award. The internship is for one year and the primary responsibility would be assisting with the management of the boarding house. Each intern would be responsible for a floor of between 30 and 45 Chinese [English speaking] students all aged 14 and above. Some hours would be also spent in the school in a department suited to the person’s skill set. “We’d also love to have someone with a passion for Drama who would help Rebecca out,” said Mr Dorrington. “The school is rapidly expanding so there are many opportunities for interns to get involved in other aspects of school life from marketing, finance, administration, as well as teaching to make up a full working week. “Working hours in the school would be flexible to reflect the hours on duty in the boarding house. As a growing school, the chances of good interns being offered contracts after their internship is high. “The package is competitive and includes accommodation and food, flights to and from China, and around $600 per month. Interns need to be university graduates for work permit reasons and the start date would be around mid-August 2016,” added Mr Dorrington. He said it was an opportunity to work with smart, well-behaved students, travel relatively cheaply within China, enhance a resume by demonstrating the ability to manage a large number of students, demonstrate working as an effective team member and demonstrate adaptability and resourcefulness. “It really is an incredible country and the internship would offer so much more than simply working at a school. It is a life-changing opportunity,” added Mr Dorrington. Ms Chadderton has been offered a PGCE in PE and a guaranteed two years’ work as a qualified PE teacher. She said: “When I first saw the post about the job I was quite keen to take on the adventure but naturally I had my reservations. After taking the job I was still in the process of completing my master’s degree so I didn’t have much time to think about the journey I would be embarking on. “A few months down the line, I am thoroughly enjoying working at Dulwich International High School, the students and staff members are a pleasure to be around. I look forward to coming back next year!